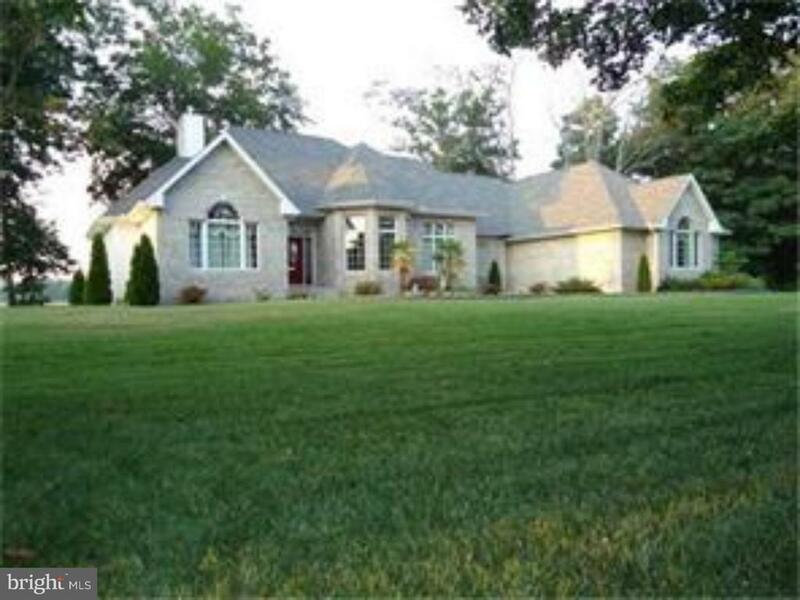 Magnificent waterfront ranch in highly sought after Windswept in Caesar Rodney School District. Beautiful gleaming marble floors can be found throughout the entire home. Stepping into the foyer and proceeding through the archway into the great room you will notice the water view through your floor to ceiling wall of windows with soaring cathedral ceiling and floor to ceiling fireplace. The appliances are new and the master bedroom features double walk-in closets, marble counters, a jetted tub and separate shower. the home boasts a split floor plan so the home owner can be separate from their guests for privacy. The third bedroom is currently being used as a home office. There is a large over-sized 3 car garage, a landscape lighting package, irrigation system and far too many upgrades to mention them all here. There is a full basement that can be finished off for future use, but current owners used it for storage. A secluded 12 X 24 Trex deck was recently added for enjoying the wonderful water views. You can enjoy the water views whether relaxing on the deck, in the expansive great room or in the jetted tub in the master bedroom. Truly a unique home. Directions: S bay Rd to R on Rt 10. Neighborhood on Right. Property on Right. Sign Posted.